A 404 page is a page that displays if a visitor types in a non-existent page or broken link on your website. Generally if that happens, your visitor will leave your site, which increases your bounce rate. And as you know, that’s not good for search engine optimization (SEO). If you haven’t set up a custom 404 page on your WordPress site, the default 404 page will display to your visitors. So instead, let’s look at a way to provide a custom 404 page to help your visitor out. Google is very clear about creating useful 404 pages. That’s because Google wants to give your visitors the best possible user experience when they are searching the web. So your site should contain a helpful 404 page that suggests what your visitor should do next if their search query lands them there. And while you can have a simple 404 page, why not create a 404 page that brings a smile to their face, too? There are several ways to create your 404 page. 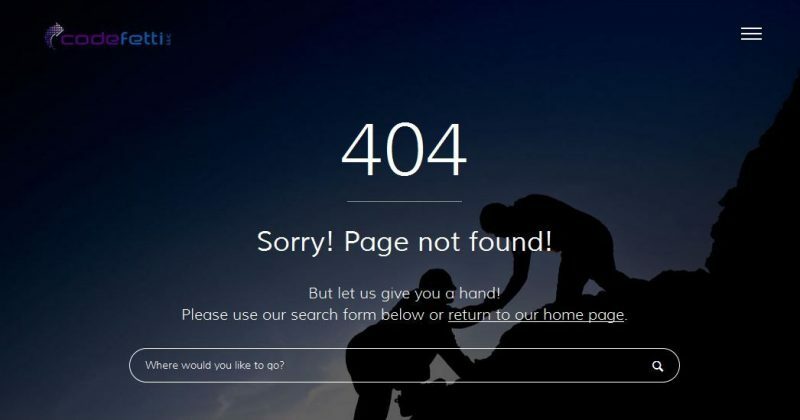 If you want more technical information on how to do this, you can read this excellent article where you will learn how to create a proper custom 404 page on different servers. Now that you have a better understanding of a 404 page, I’ll show you the easiest way to make your 404 page. And that’s through the use of a simple yet powerful WordPress plugin, 404page – your smart custom 404 error page. This lightweight plugin will help you create a WordPress custom 404 page to replace the generic 404 page that you may have on your website. First you need to install the plugin. If you’ve never installed a WordPress plugin, now would be a great time to learn how. Once the plugin is installed, activate it. Then follow two simple steps below and you are done! Next, from your WordPress dashboard go to: Appearance>404 Error Page and select the page you just created as your custom 404 error page. There are times when it’s better to send a 410 response code to let the search engines know that a page has been permanently removed. I’ve found 410 for WordPress to be just the solution I was looking for. After completing a content audit on my site, I found it necessary to delete some of my older, thin content to try and improve the usability of my site. Instead of returning a 404 Page Not Found error, I decided to send the 410 response for each page URL I deleted from my blog. By returning the 410 response code a search engine will remove the URL from its index permanently instead of crawling it continually just to receive a 404 response. Even better than returning a 404 code is to use a 301 redirect, which will route your visitor to another valid and relevant page. This makes for a better user experience and will keep visitors on your site longer. You can add a 301 redirection through your .htaccess file, but it’s simpler and safer to use a plugin such as Redirection. For more information on 404s and 301 redirections using the Redirection plugin, refer to this post. We discussed why a custom 404 page is important and how to create a WordPress custom 404 page. We also talked about when to return a 410 response instead of a 404 response. Finally, we looked at why using 301 redirects may be the best route for handling deleted or renamed pages. Do you use a WordPress custom 404 page on your website? When you land on a custom 404 page, do you explore the website more readily than if you land on a generic 404 page? Please share your thoughts in the comments below! Thank you for mentioning my post on 404s! The Forty Four – 404 Plugin for WordPress plugin sounds like a great option. I do have a customized 404 page, but will be checking into this. Hi Robin, nice to see you here 🙂 when I came across this plugin, I remembered how informative your 404 post was and wanted to include it here. So thanks for doing the research! I had been putting off creating a custom 404 page and this plugin just made it simple. Would love your thoughts once you get a chance to check it out. Thanks for taking time to leave a comment!